How to describe this book accurately without giving anything away? Oh dear. Well the first word that pops into my head is definitely one that is popular around the movie scene. That, my dears, would be twist! 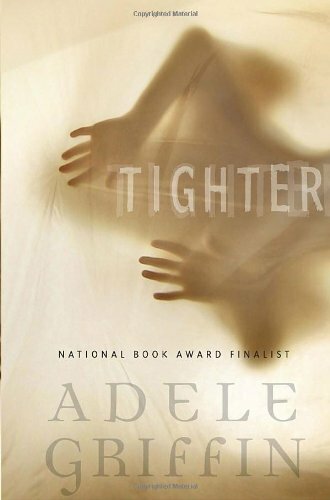 Tighter will take your brain, twist it until you're not sure what way is up, and then put you back down to try to navigate the world normally again. It's eerie, well-written and just all around fantastic! With references to the classic novel The Turn of the Screw, this story at first follows the original very tightly, and then branches off into its own unique and amazing storyline. Jamie arrives in Little Bly after the reader finds out that she has a dark secret she is taking with her. In fact, her family is prompting her to go in an effort to pull her out of a sort of depression that surrounds her. As I got to know Jamie, I found myself understanding her more and more until all of the sudden, remember that word above, TWIST! Oh, this book is fantastic. The characters in this book are so vividly written. From Jamie, our main character, right down to her young charge, each of them has their own unique personality and quirks. I did not necessarily like Jamie's character, but I did understand her. In terms of plot, the story moves along at a quick pace, always giving you just enough to keep you reading. By the time I got to the end of Tighter I was reading at a lightning quick speed just to see what happened! The ending did not disappoint. I apologize for being so vague, but let me tell you that anything else I say will be a spoiler. Trust me when I say that the less you know when you go into this book, the more you will appreciate the overall story with its twists and turns! If you are a fan of The Turn of the Screw, or even if you are not, you will find this a fascinating new story. Plus, well, it's by Adele Griffin, and so you know it will have great voice.